You are here: Home › parenting... › Dream. August has been asking SO MANY QUESTIONS. It’s amazing. Whether or not he remembers the actual word from the day before, I’m unsure… It’s just interesting how for him to feel this comfort level he needs to hear things many times. I know my husband is living the dream because his kid, our kid, is asking so many things. He’s needing to know more. His brain simply cannot be comfortable with what he is seeing. My husband is living the dream because everything he was taught when he was younger he remembers, and now our kid is so enamored with his daddio that he wants to help with every task he takes on. My husband was out finishing up with mowing the lawn (I told him there’s no way he’d be able to finish before it started raining… It wasn’t until I noticed his hustle while pushing the lawn mower that he Accepted That Challenge)…. 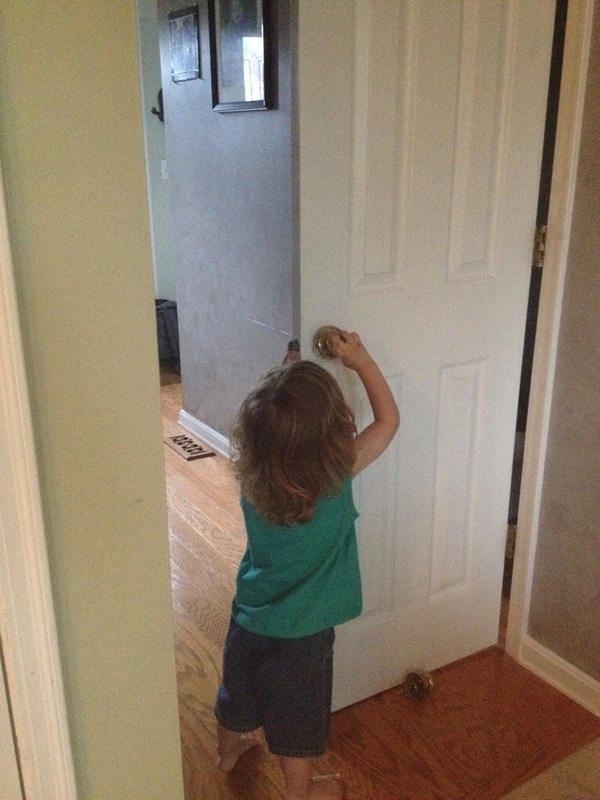 When he came in August had been, for about five minutes, working on putting the door handle back on our bathroom door. I was miming to Josiah how he had been doing it, and how he was basically accomplishing it. 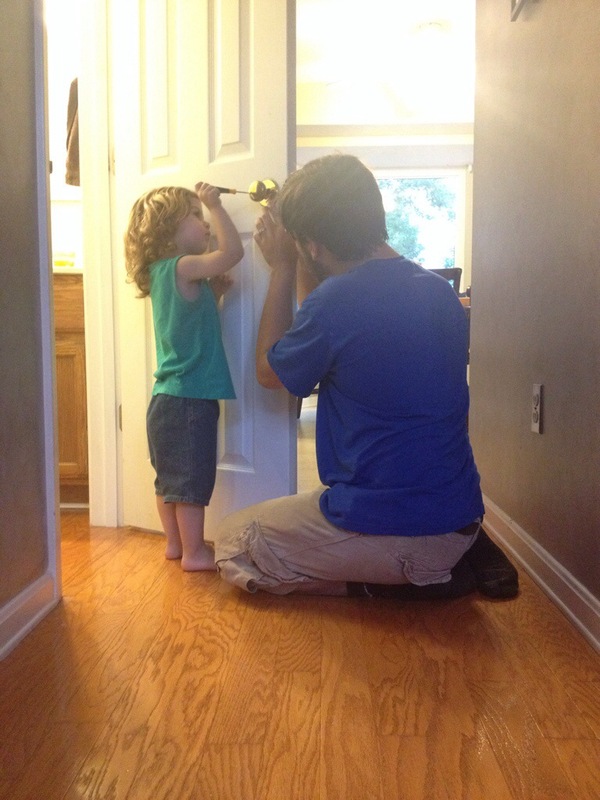 The only thing missing was the screws… Once he saw daddy there he asked for his help. I suppose I’m living the dream, too. I’m an observer- and this IS heaven. To be able to watch the two people I have so much deep love for love each other.